The brand new 2018 Honda Fit has hit dealerships across Canada in recent weeks. The new car boasts updated styling, with an all new to 2018 Sport trim. 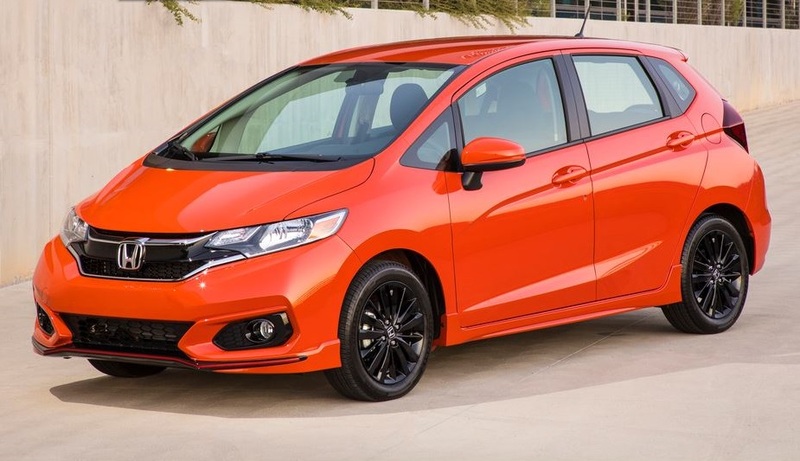 The Fit also offers connectivity and safety features which make it stand out in its class, such as the Honda Sensing, Android Auto, and Apple CarPlay. New to the Fit this year is also an additional exterior colour, Orange Fury. The 2018 Sport Trim of the model increases the stylish and attitude look that the Fit offers with a more aggressive aero-form front spoiler and rear diffuser. The Trim model also offers pinstriping, 16-inch aluminium alloy wheels with a gloss-black finish, a chrome exhaust pipe finisher, and side sill garnishes. The Orange Fury goes throughout the car, with orange contrast stitching on the black interior. This third generation model enhances the 5-door car’s top of class standing. The updates include increasing passenger space, an unmatched fuel efficiency, sophistication, and practicality. With a Manufacturer’s Suggested Retail Price (MSRP) starting at $15,190 the 2018 Honda Fit is an incredibly affordable car. The third generation model offers the Honda Sensing suite of safety features and driver assistive technologies. These features come standard on all Continuously Variable Transmission (CVT) models. This is a first for the Honda Fit. Underneath the hood, the 2018 model has a 1.5L DOHC direct-injected 4-cylinder i-VTEC™ engine with Variable Cam Timing (VTC) which offers the car up to 130 horsepower at 6,800 RMP and up to 114 lb.-ft. Of torque at 4,600 RPM. The new model has been improved on the previous generation, returning the suspension dampers and adding a more rigid steering system as well as improved transmission and steering system mounting hardware, combined with acoustic laminated glass.